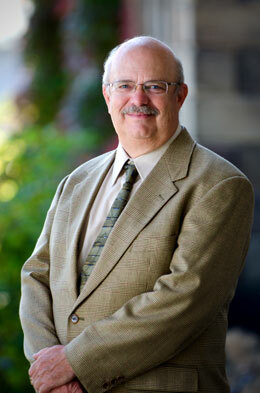 Steven Turner will join the ranks of professor emeritus at the University of New Brunswick. He will receive the honorary designation at UNB Fredericton’s fall Convocation, Oct. 20, in recognition of his distinguished career. Dr. Turner came to UNB in 1971. Throughout his 39 years as the historian of science and technology at UNB, Dr. Turner established himself as a productive researcher, a distinguished teacher, and a well-respected colleague and administrator. Dr. Turner was one of the history department’s best teachers. He taught students from arts, engineering, science, and education. His remarkable pedagogical talent was recognized with an Allan P. Stuart Excellence in Teaching Award, the university’s highest teaching honour. He also received the title of University Teaching Scholar. “For 39 years, Dr. Turner, with a minimum of props, a somewhat rhetorical style, and a wry sense of humour, has captivated and motivated generations of UNB students, and lain at the heart of his devotion to this institution,” said Gary Waite, chair of UNB’s history department. As a researcher, Dr. Turner has received numerous provincial, national and international research grants, including the Alexander von Humboldt Fellowship. His early research focused on 19th century German university reform and 19th century German controversy over the physics of vision. His most recent research looks at the history of agricultural biotechnology and genetic research on the potato in Canada and New Brunswick. Recognized as a big thinker, Dr. Turner has regularly been invited to comment on papers on the state of the field of the history and philosophy of science. He has reviewed dozens of academic books, evaluated numerous manuscripts and research applications, read over 50 papers at national and international scholarly conferences, and published 35 scholarly articles and book chapters. Dr. Turner has held a number of university positions, including chair of the history department, director of graduate studies for the history department, university orator, co-chair of UNB’s Forging Our Futures Campaign, and the AUNBT negotiating team. Most recently, and in his retirement, he is serving chair of UNB Fredericton’s Research Ethics Board. The professor emeritus distinction is awarded only to retired faculty members. Criteria for the honorary rank include teaching performance of exceptional merit, extensive research and publication of unusually high quality, creative contributions to the administration and development of the university, and a record of professional conduct that indicates fair and ethical treatment of students and other members of the academic community.